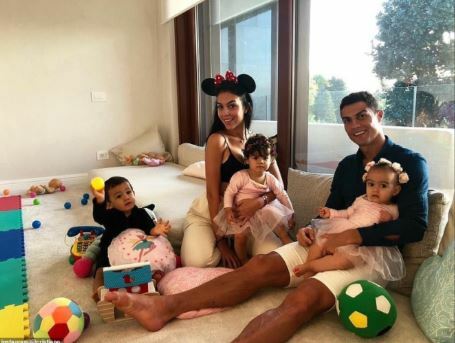 Cristiano Ronaldo has put his five-bedroom Manchester mansion up for sale in a move that could kill United fans’ hopes of him sealing a return to Old Trafford. The Juventus forward is believed to have first bought the stunning home in Cheshire back in 2006, during his trophy-laden spell under Sir Alex Ferguson. The house, which is now on the market for £3.25million, features a large swimming pool, hot tub and steam room as well as a gym, cinema and games room. Should Ronaldo find a buyer, he could end up losing money on the mansion, having reportedly bought it for £3.85m more than a decade ago. This is not the first time he has tried to sell it, however. The forward is believed to have put it on the market back in 2009, when he left Old Trafford to join Spanish giants Real Madrid. Since then, however, it has not been left unoccupied. Luke Shaw rented the property from Ronaldo after he joined from Southampton back in 2014. According to the Sun, the left back paid Ronaldo £7,000 a month but now the forward wants to get rid of it for good. The property is found in the wealthy area of Alderley Edge, where many Manchester-based footballers settle down.